The Anastasia Beverly Hills Self-Made Eye Shadow Palette is the first, believe it or not, eye shadow palette I’ve ever bought from ABH. 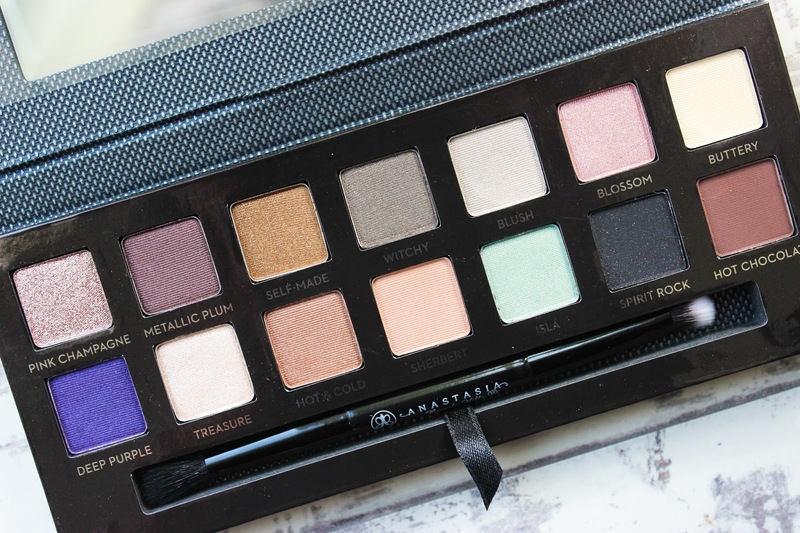 Now, for someone like me who lives for matte neutral eye shadows this palette was definitely something to think about before I purchased it – in the end I thought if I’m going to step outside my comfort zone why not do so with ABH eye shadows as I’ve heard near nothing but good things about them. 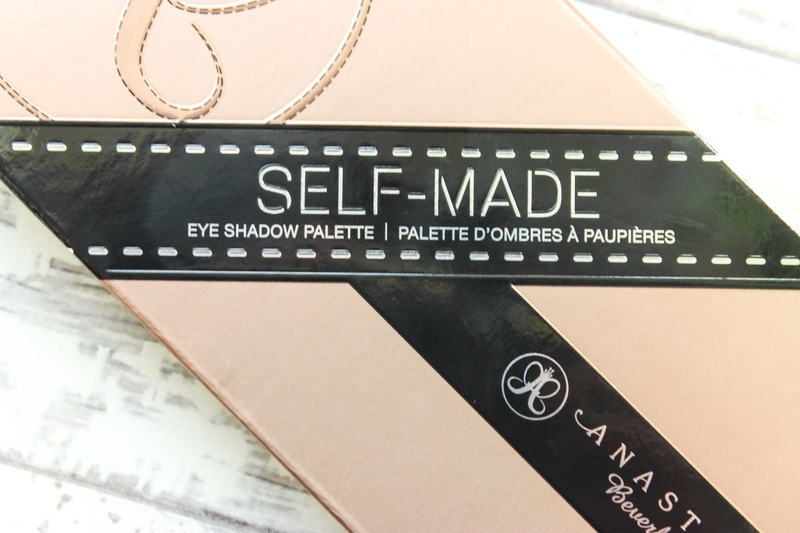 The Self-Made palette differs from previous ABH palettes as this contains 14 eye shadows instead of the normal 10-12 we’ve seen as standard so far. The palette is also one of the sleekest palettes I’ve seen to date with it’s embossed faux stitching – it almost looks like a smart clutch! Self-Made also comes with a sturdy double ended brush for blending and applying shadows. As with previous palettes, the Self-Made palette has a mixture of new shadows and permanent shadows (sold in single pan form on the ABH website), the permanent shadows being Pink Champagne and Hot Chocolate. The consistency of these eye shadows is truly impressive. 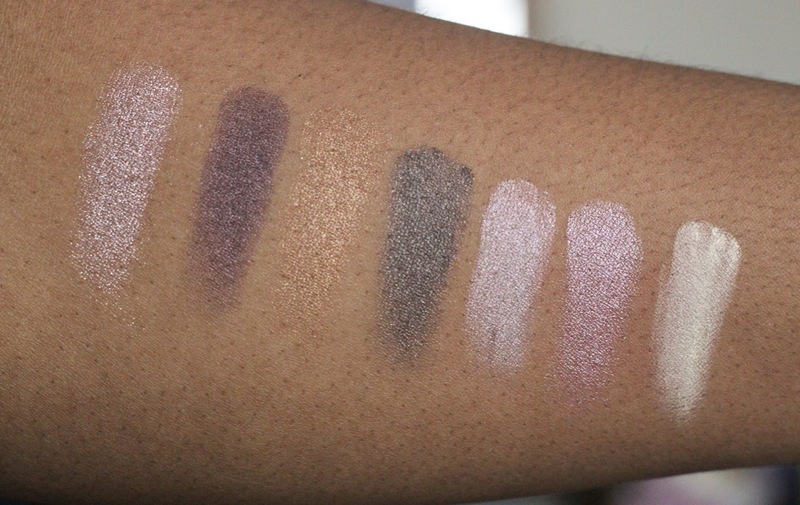 All swatched beautifully (no primer was used or base for the swatches) I mean, check out Deep Purple against my skin tone – crazy! The shadows themselves are smooth, almost creamy, I only experienced slight chalkiness when swatching Buttery. In terms of shades I have already chosen my favs (sorry, not sorry) which include Blossom, Deep Purple, Hot&Cold, Spirit Rock and Hot Chocolate. If you are anything like me this palette may look daunting at first but the possibilities are seriously endless! Use Hot Chocolate all over the lid for a brown seductive smokey eye, sweep deep purple onto your lower lash line with a hint of Spirit Rock for a rocker inspired purple pop of colour, for day time glamour apply Self – Made to the lids and pop Treasure onto the inner corners of your eye to highlight or if you want something more simple – sweep Buttery over the lid and finish with your favourite liner for an Adele inspired look. WoC do not be intimidated by this palette either, some shades such as Treasure and Blush may look like our worst nightmare but these shadows can be used in the inner tear duct and will look amazing. For 14 shadows the Self-Made palette sold for £26 via Cult Beauty in the UK (now sold out) and is currently in stock on the Anastasia Beverly Hills website for $35. If I had one request it would be for more matte shades but sometimes it’s good to step outside your comfort zone! 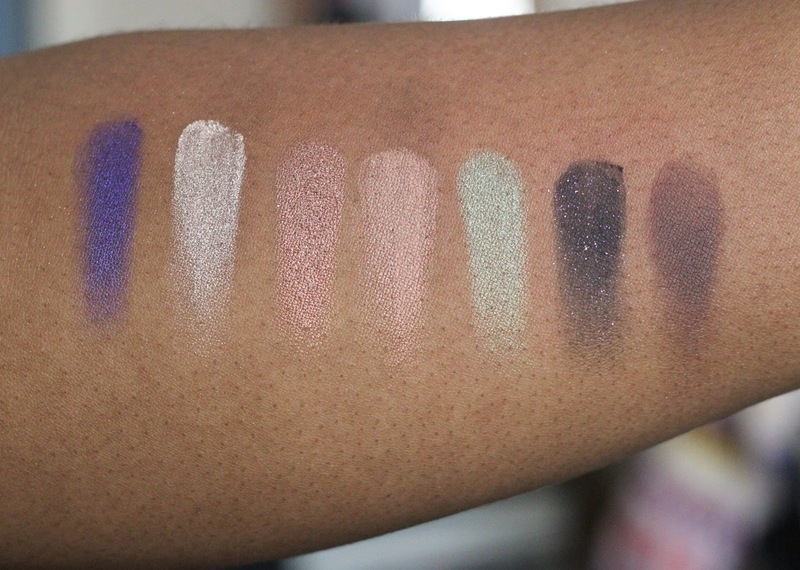 I’m yet to use these shadows on the lid but from swatching I know I wont be disappointed and I will definitely be bringing a few looks to the blog using this palette as I’m very impressed with it so far – you can tell that Norvina and Anastasia really put time and effort into their palettes. UPDATE: I’ve been using the palette and I am loving it! See the look I created with it below! Do you have the Self-Made palette or any other ABH palettes? Sooo I just got this (I don't need more eyeshadows!) and I'm pleasantly surprised. 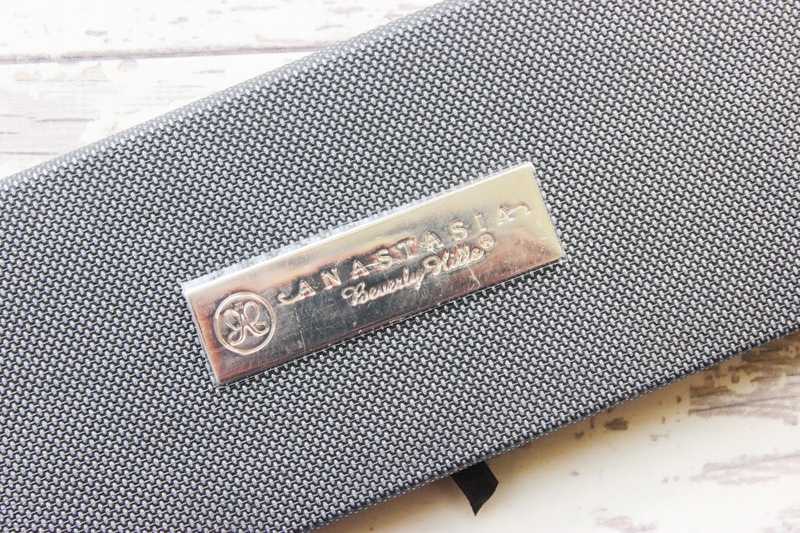 The only other Anastasia palette I own is the Tamanna palette because I wasn't that impressed by the others but I think this is by far the best one they've brought out. I'm the opposite of you since I love my shimmers and my fave is "pink champagne"! 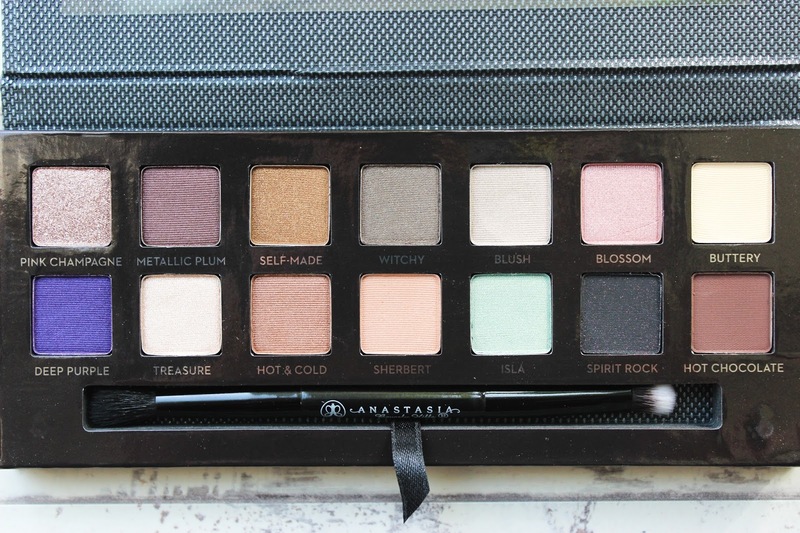 It is a great palette and you do get a lot of wear out of it which has surprised me! You've got me reaching for Pink Champagne now! !